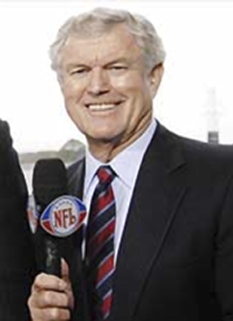 Retired football coach, Jimmy Johnson, was born on July 16, 1943. 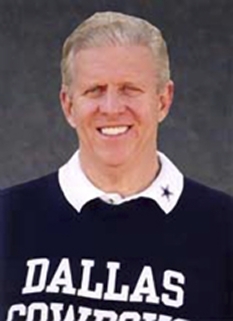 Johnson is a former coach for Oklahoma State University, Dallas Cowboys and Miami Dolphins. 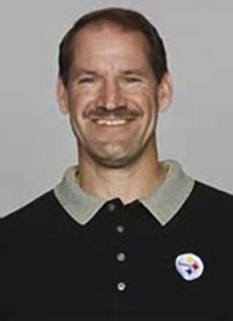 Johnson currently appears on Fox NFL Sunday, the Fox network's NFL pregame show. He was the first football coach whose teams won both an NCAA Division 1A National Championship and a Super Bowl. In 1993, Johnson wrote Turning The Thing Around: My Life in Football (ghostwritten by Ed Hinton). Born in Port Arthur, Texas, Jimmy Johnson graduated from Thomas Jefferson High School (now Memorial High School) in Port Arthur, where one of his classmates was future rock superstar Janis Joplin, whom Johnson nicknamed "beat weeds." 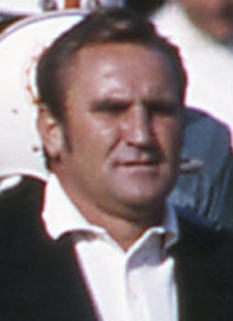 Johnson went to college at the University of Arkansas and won a national title on the football team, where he was an all-SWC defensive lineman for Hall of Fame coach Frank Broyles, and a teammate of future Dallas Cowboys owner Jerry Jones. 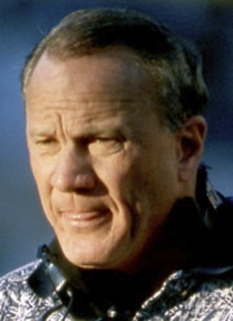 Johnson's future rival head coach, Barry Switzer, was an assistant coach. 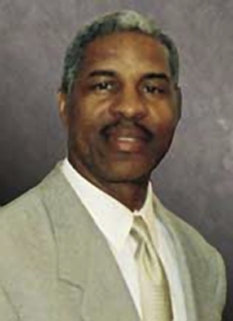 Johnson was nick-named "Jimmy Jumpup" because he never stayed down on the ground for long during football practices or games as it was said his determination was boundless. 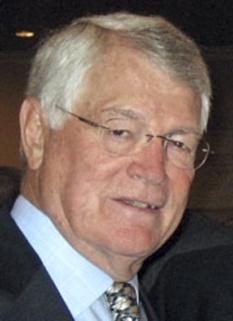 Jimmy Johnson is one of only two head coaches to win both a college football national championship and a Super Bowl. The other is Barry Switzer, his college teammate and rival head coach. Johnson currently lives in Islamorada in the Florida Keys where he spends most of his time fishing. DISCLAIMER: PFP Sports Talent Agency does not claim to represent itself as the exclusive agent for Jimmy Johnson. PFP Sports Talent Agency is a booking agency that represents organizations seeking to hire pro athletes and sports personalities such as Jimmy Johnson for speaking engagements, personal appearances, product endorsements and corporate entertainment. Fees on this website are estimates and are intended only as a guideline. Exact fees are determined by a number of factors, including the location of event, the talent’s schedule, requested duties and supply and demand. PFP Sports Talent Agency makes no guarantees to the accuracy of information found on this website and does not warrant that any information or representations contained on this website will be accurate or free from errors. We are often asked how can I find out who is Jimmy Johnson's agent? 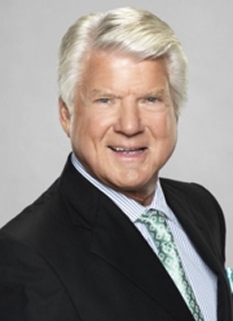 To find Jimmy Johnson appearance fees and booking agent details, you can contact the agent, representative or manager through PFP Sports Talent Agency for speaking fee costs and availability. PFP Sports Talent Agency can help your company choose the ideal sports personality for your next marketing campaign. To hire Jimmy Johnson for an appearance, speaking event or endorsement, contact Jimmy Johnson's booking agent for more information.